that's funny! 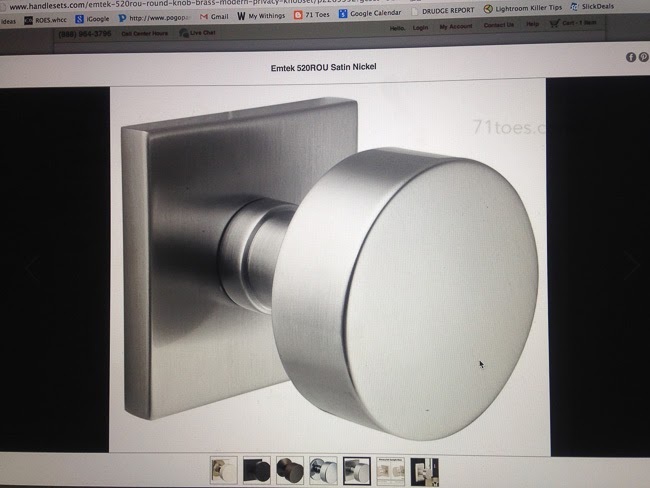 We recently finished our own homebuilding project and these are our doorknobs too. Our home is more of a traditional with modern elements added in - but those doorknobs are perfect and we love them. Your project is so beautiful and I appreciate all the meaning you have 'built in' to the project. We had done a few similar things and watching things you did like writing scriptures on the support beams made me wish I was behind you instead of ahead of you to have gathered a few other ideas! Way to go making the whole project part of a family experience! I have those doorknobs! Love, love, love them! Well, I am very fond of knobs as they magnify the interiors to a great extent. Recently, I have renovated all the interiors of my house. The knobs that I have installed now is from Pushkaknobs. I must say that they exhibit a wide range of variety wherein I can choose from.